Convenient and quick attachment of Ventury injector, fertilizer tank and injector pump to irrigation system. easy to program, touch screen, availbale in local language. We manufacture and supply a high quality range of Fertigation Systems using superior grade virgin material that is non-corrosive in nature. Atuofert Agrimations Equipments (OPC) Pvt. Ltd.
Our reputation in the market is largely attributable for offering Irrigation And Fertigation Automation System. 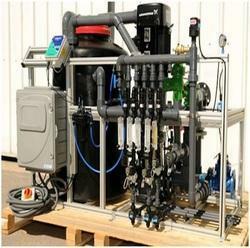 A dream machine for all fertigation needs of crop. Aluminium frame: strong, modular, non corrosive. 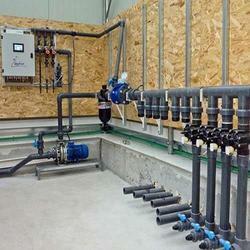 Piping and fittings: PVC non corrosive piping installation. Best Deal Agro Tech Co.
constructed with as few moving parts in low cost. Fertigation and irrigation controllers are usefull for automized and precise dilivery of water & fertilizers on time as per schedule.It saves labor cost and provides efficiant solutions.